Two bedrooms (both en suite). Attractive walled garden. WiFi. Parking for one. En-suite shower room, En-suite bathroom. Gas fired central heating. Electric cooker and gas hob, fridge, freezer, dishwasher, washing machine and tumble dryer. 40" television with HD Freeview. DVD and iPod docking station. Travel cot, highchair and stairgate available on request. WiFi*. Garden furniture. *Internet access is offered at this property for recreational purposes only and is not meant for business use. Speed/service may vary depending on the package obtained by the owner which is provided to guests free of charge. Should guests experience difficulties or loss of use, neither the owner nor Rural Retreats will be held responsible. We loved our stay in this Beautiful Cottage. 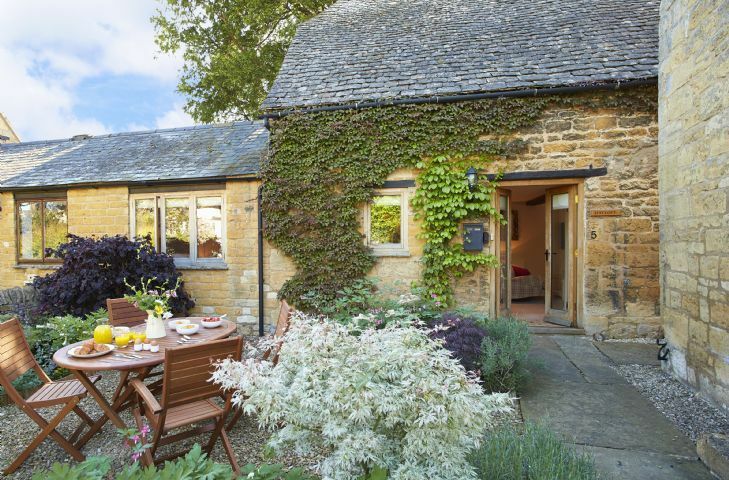 Not only is the village charming, but the cottage itself is first class. It looks brand new; from the kitchen to the bedroom to the baths, all of the details have been choreographed for style and comfort. The bed, especially is very comfortable and we appreciated the true King size. My husband is 6'5" tall and has trouble fitting in smaller beds. I can't say enough good things about this special find, except thank you for making our stay in the Cotwolds a memorable one.